AIUCD 2014, the Third AIUCD (Associazione per l’Informatica Umanistica e la Cultura Digitale) Annual Conference, is devoted to discussing the role of Digital Humanities in the current research practices of the traditional humanities disciplines. The introduction of computational methods prompts a new characterisation of the methodology and the theoretical foundations of the human sciences and a new conceptual understanding of the traditional disciplines. Art, archeology, philology, philosophy, linguistics, bibliography and diplomatics, as well as social and communication sciences, avail themselves of computational methods to formalise their research questions, and to innovate their practices and procedures. A profound reorganisation of disciplinary canons is therefore implied. New emerging notions such as Semantic web, Linked Open Data, digital libraries, digital archives, digital museum collections, information architecture, information visualisation have turned into key issues of humanities research. A close comparison of research procedures in the traditional disciplines and in the digital humanities becomes inevitable to detect concurrencies and to renew their tools and methods from a new interdisciplinary and multidisciplinary perspective. Accepted papers (submitted as abstracts of no more than 1000 words) shall be presented on the second conference day. Submissions have to be uploaded as PDF files on EasyChair at the following address: https://www.easychair.org/conferences/?conf=aiucd2014 . The deadline for the submission of abstracts to the Programme Committee is set at the midnight of 12 May 2014. All abstracts shall be submitted to the evaluation process organised by the AIUCD Programme Committee. Authors shall be informed on the acceptance of their submissions within 9 June 2014. Further details about the conference, the members of the Programme Committee and the registration process shall be published on the conference web site at the following address: http://aiucd2014.unibo.it/. El’Manucsript-2014 is the fifth in a series of biennial international conferences entitled “Textual Heritage and Information Technologies” (http://textualheritage.org). The programme of the conference traditionally includes tutorials, lectures, and computer classes for young scholars and students. The working languages of the 2014 conference are English, Bulgarian and Russian, and papers presented at the Conference will be published in a volume of proceedings and on the http://textualheritage.org website. 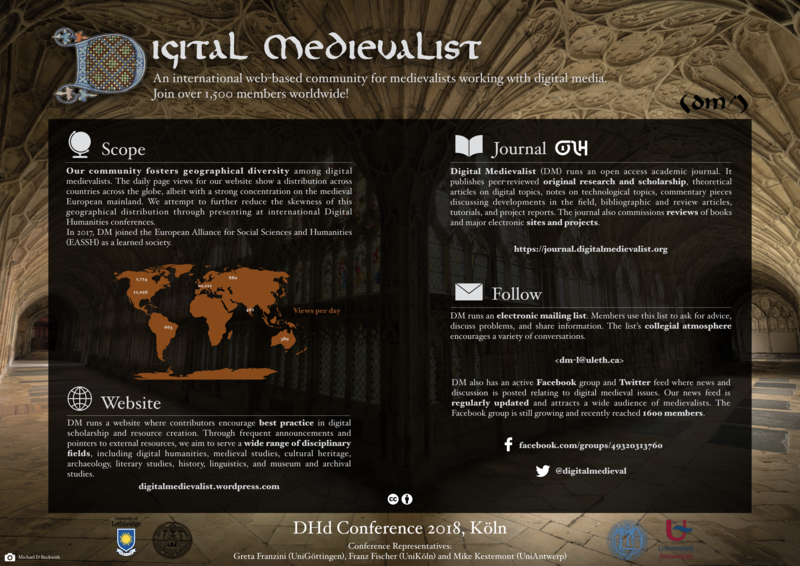 Selected papers in English will be published in a special issue of the Digital Medievalist Journal (http://digitalmedievalist.org/journal/) and, if written in Bulgarian, English or Russian, Palaeobulgarica. For more information, please visit the conference website: http://textualheritage.org/en/2014.html. Posted by: Alexey LAVRENTEV (alexei.lavrentev@ens-lyon.fr). R E Hart’s collection of about 800 items, including 400 incunabula and early printed books, as well as 22 medieval manuscripts, was donated to Blackburn Library in 1946, and has been part of Blackburn Museum’s collections since 1972. An AHRC-funded project to display ten of the most impressive manuscripts and early printed books at the Senate House, London, throughout November, will culminate in a colloquium on the past, present and future of the Blackburn collection, including a round table discussion on the role in general of collections such as Hart’s in local communities today. We invite proposals for 20 minute papers on the past, present and future of such collections in their contexts. Papers could explore late Victorian and early twentieth century collectors and their collections; they could also look at items or types of items present in Hart’s collection, including important 13th century psalters (the Blackburn Psalter and the Peckover Psalter), 14th and 15th century English, French and Flemish Books of Hours, as well as Incunabula. Finally, papers could address the future of small collections such as Hart’s, and their role in local communities in the digital era. How does the widespread digitation of larger collections affect smaller collections such as Hart’s? Posted by: Courtnay Konshuh (ckonshuh@gmail.com). The Department of Literature at Ghent University is pleased to announce that it will host an international conference on the Ten Commandments in medieval and early modern culture on April 10-11, 2014. We kindly invite paper proposals exploring this theme from any field of medieval and early modern studies. Selected papers will be published in a volume to be included in the peer-reviewed series Intersections. Interdisciplinary Studies in Early Modern Culture (Brill Publishers). The rise to prominence of the Ten Commandments dates back to the 12th century. In that period exegetes such as Hugh of Saint Victor emphasized the importance of the Decalogue as a list of moral principles. A century later the Ten Commandments permeated scholastic learning as well as catechetical teaching. They became a useful instrument for the examination of conscience in preparation for the mandatory annual confession introduced by the Fourth Lateran Council (1215). By the second half of the 15th century, the Commandments were omnipresent in religious culture. Their diverse textual and visual manifestations were found in a variety of media, from manuscripts and printed books, to wall paintings and wooden panels. The prominence of the Decalogue continued amongst the Protestants, albeit with a different emphasis than in Catholic teaching. The relationship (or lack of it) between scholastic and vernacular writings on the Ten Commandments. Recent research has shown that some vernacular writings on the Ten Commandments contain elaborate theological content. Which themes found their way from academic to vernacular theology? Were there independent developments within the vernacular writings on the Decalogue? In which milieus were the ‘learned’ vernacular treatises written and what was their audience? The Ten Commandments in various textual genres. The typological diversity of writings on the Decalogue is astonishing. These Old Testament tenets were explored in scholastic summae, catechetical mirrors and sermons, put into simple rhymes, combined with images and even interwoven into stage plays. How did different genres treat the Commandments? Was there any genre-specific emphasis on certain aspects of the exegesis of the Decalogue? The Ten Commandments in visual arts. The act of breaking or obeying the precepts was depicted in diverse media. Did the iconography and/or function of the Ten Commandments scenes change depending on the medium? Did the Reformation and Counter-Reformation affect the iconography of the Decalogue-scenes? The Decalogue in medieval and early modern popular culture. The Ten Commandments, like other tenets, penetrated popular (religious) culture. How did the abundantly preserved Decalogue rhymes, some of which could in fact be sung, and cheap prints containing a combination of text and image function? Who used them? The Ten Commandments in early modern theology. The Decalogue played a vital role in Protestant theology. Did the reformers postulate any major shifts in the interpretation of the Old Testament precepts? If so, did it cause any reaction by the catholic theologians? Papers should be given in English and should be 20-25 minutes long. Please submit an abstract (max. 300 words) accompanied by a brief CV before October 1, 2013 by e-mail to Marta Bigus (marta.bigus@ugent.be). Successful applicants will be notified by November 1, 2013. We look forward to receiving your abstracts, and to a productive meeting on April 10-11, 2014. We hope that you will support our efforts by notifying your colleagues and students about the conference. You are most welcome to contact the organisers for further details. Posted by: Marta Bigus (marta.bigus@ugent.be). The discussion about the digitization of the Middle Ages, by its very nature, tends to be one that takes place in an online setting. 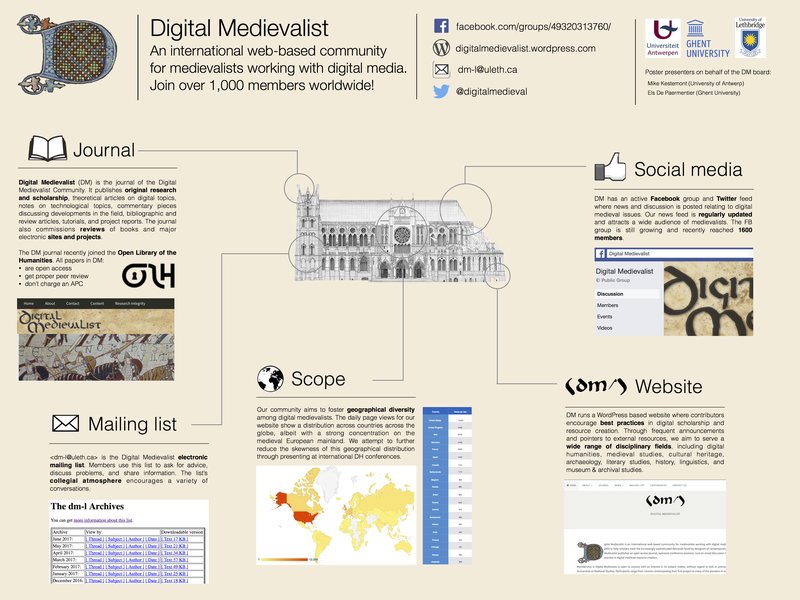 As the question of how medievalists may work within this digital environment becomes an increasingly popular topic of Internet conversation, we invite scholars in the Humanities and Social Sciences to come together in real time to consider and discuss the possibilities of a digitized medieval archive. Please submit a short C.V. and abstracts of 250 words by October 1, 2013 for consideration. To contact the conference organizers write to digitizingmedievalarchive@gmail.com. Posted by: Lisa Chen (lisa.chen@mail.utoronto.ca).